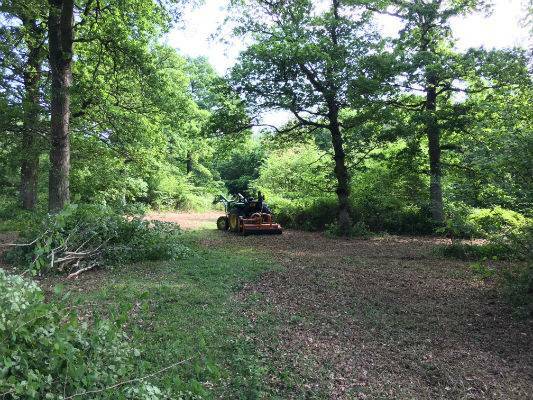 Holder Tree Services also offer a full forestry service for commercial clients and landowners in the SE. We have good relationships with biomass companies and forestry mills and will make your forestry operation as cost effective as possible. 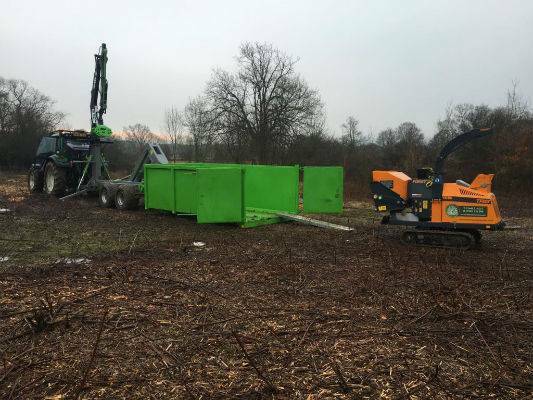 With access to Forwarders, Mulchers, excavators and Highly experience tree fellers we are well equipped to undertake large/small, sensitive/non-sensitive felling projects. We can also hire our specialist equipment with an operator to help you speed up your own forestry project. Holder Tree services implement a rigorous health and safety scheme and have all relevant NPTC tickets, CSCS and CHAS accreditation to fulfil all prior criteria on large sites. Holder tree services are arboricultural specialists located in the West Sussex. We provide commercial tree services across Sussex, Surrey, and Kent. We pride ourselves on maintaining the highest standards of tree work and have a system to ensure that our customer service is excellent and you get the same provision time after time. Holder tree services cover all aspects of commercial tree work. Forest clearance and dead wooding oaks. If you would likle to discuss out forestry servivce please contact us. The guys removed a large fallen Oak tree from a stinking pond today. Helps having the right kit! all out just to move the timber now. There was a lot of it! Clearing a corner of the woodland over the last 2 days in fiveOaks. 30 Hornbeams. Relocated all laurels in the understory to create a hedge line, cleared all trees and ground all stumps using the Predator 50 RX. Cracking machine and great work by the Holder Tree Services crew. Managed to fit a new radiator to the TR8 as well! We're hoping to reunite two trailers and a flat pack stable with their rightful owners. The trailers and stable were among items recovered when officers searched a premises in #GreatChart on Thursday. We've been able to identify a Mitsubishi Shogun, three motorbikes and two trailers at the site and enquiries into how they came to be there are ongoing. But we're still trying to identify the owners of two trailers and a stable and are appealing for the public’s help. PC James Murrell said: ‘The trailers are both specialist #forestry trailers that would probably be used by professional #treesurgeons or #landscapers or in the forestry industry. ‘One is a green #Kellfri forestry #trailer with a crane. The other is an orange #Camon chipper trailer. ‘They are both expensive pieces of equipment and we are keen to reunite them with their rightful owners. ‘The wooden flat pack stable had yet to be built and was being stored in a pile,’ he added.